Do You Recognize This Plant?? It has spiky leaves and a trunk that looks like a Pineapple. It’s a Sago Palm, a member of the Cycad family. Its hardy, easy to grow and drought tolerant, which makes it a popular ornamental plant for homes and yards. It’s also toxic to pets! While all parts of the plant are toxic, the seed pods of the female variety are the most toxic. Sago Palms contain the toxin Cycasin, which is most concentrated in the seeds. Ingestion of Cycasin can cause gastrointestinal distress and liver failure. 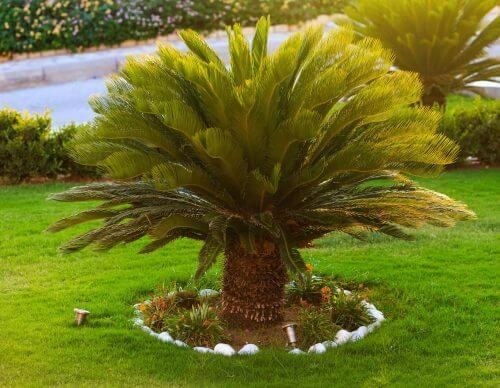 If you suspect that your dog has ingested any part of the sago palm plant, contact your veterinarian immediately. 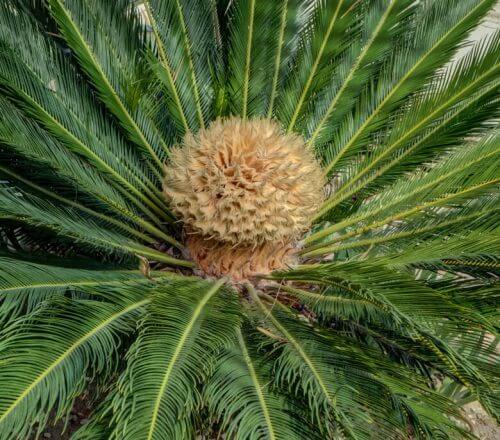 Due to the high fatality rate of sago palm poisoning, aggressive treatment is extremely necessary for dogs that have ingested any part of this plant. 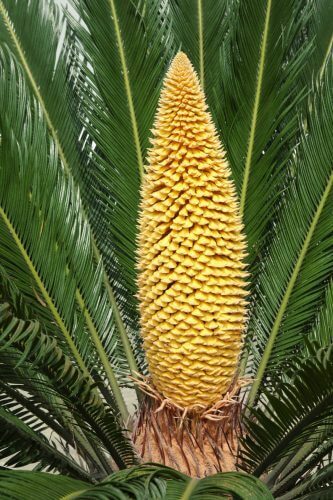 Male Sago Palm with pollen cone.